I’ve been hot-air ballooning twice in my life. The first time was so unbelievably wonderful that I emerged with a new outlook on life. The second time was so awful that I emerged with a face full of dirt. Balloon flight #1 took place in northern California. The balloon company picked us up at our hotel at 5 am and drove us in a company van to our launch site (because of fog, the site was changed from the Napa Valley to Hidden Valley). At the site, the balloon was already inflated by the professional crew who had arrived earlier. With plenty of space for all five of us in the basket (the pilot, B. and me, and another couple), we floated upward peacefully and then began our gentle air voyage. The pilot — unquestionably qualified — took the balloon up, up, up above the beautiful landscape, and then as low as to hover above a stream so that we could see the fish. Amazing. But wait, there’s more. When it came time to land the balloon, he pointed out a spot near a fence way, way below us. “See that fence?” he asked. “I’m radioing to my ground crew to meet us there, because that’s where I’ll be setting down.” And he did. Right where he said. On a dime. As soft as a pillow. Afterward, as the ground crew took care of deflating and packing up the balloon, the pilot drove us back to Napa and a champagne breakfast. Balloon outing #2 took place somewhere in the Southwest. We were instructed to meet the other passengers and crew at a corner at the edge of town at 5 am. A dark, deserted corner. Our pilot and crew showed up in an old van and drove us to the launch site. At that point, we were told that we were responsible for helping to get the balloon inflated. Not a request, a directive. We launched shortly thereafter but, unlike the Napa balloon where there was plenty of room for everyone, there were about three too many people in this basket (I’d like to give a special shout-out to the big guy with the extra-long camera lens). Up we drifted, and then down, where we splashed the river before coming back up again. 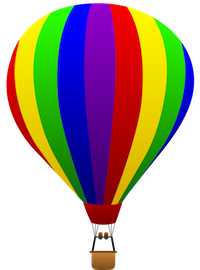 Splash and dash, balloonists call it. More like splash, dash, and crash. Because once the flight was winding down, things went, shall we say, a bit awry. Our pilot, who by that time we determined had lost a number of brain cells and credentials to a lifetime of who-knows-what-substance, seemed to have trouble locating a landing site. His ground crew, in a van below us, kept driving around maniacally, trying to track the balloon and figure out where we would set down. Finally, with no rhyme or reason, Captain Jack decided to touch down on a piece of uneven prairie. With sharp rocks. Snakes. And oh yes, sagebrush. He set the balloon down (actually, it kind of fell the last several feet) with a monstrous thud, and both balloon and basket tipped forward. And tipped forward more. And kept leaning closer and closer to the ground, with me right there in the front. Just when I thought that it would right itself before falling over all the way, it fell over the last foot or so and there I was, kissing sagebrush. Lovely. To add insult to injury (literally), we were told that we’d have to help deflate and pack up the balloon if we wanted to be driven back to our cars. If you think that sounds unreasonable, it did. But no one was looking for the sequel to Deliverance — and these guys were just crazy enough to make you want to get the hell out of there as fast as possible. Plus they knew where we were all staying in town. Would I do it again, even for an experience as nice as the first one? Probably not. I’m batting .500 as it is, and I’m not sure I love the odds. Because only sometimes do you get exactly what you pay for and expect. 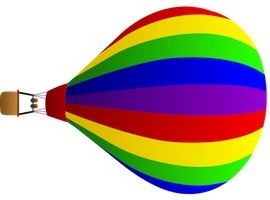 The other times it’s just a lot of hot air. Great column, Claudia. Very entertaining and wonderfully written, as usual. At least you didn’t say you can fulfill your hot air quota at home with B whose musings, as we know, are the anithesis of hot air and endlessly entertaining. my, my, my. I will share this post with my hubbie, CBD, who has refused over the last 23 years of our time together and said NO WAY I’d get him in a hot air balloon. Guessing he is right on this one.. My parents had a very similar experience in the local area just about 65 miles south of LA. Too funny.. I needed the post…busy grading all these papers.